The Best Netflix Shows You Can Watch Now! IN 2012 Netflix made its biggest gamble to date, entering into the world of original programming. Four years later and Netflix is still going strong, airing some of the best and most original series television has to offer. Some would say that their $9.99 monthly fee is worth the price of admission, and we’d agree with them. There’s not a day that goes by that someone in our household isn’t watching Netflix, whether it’s original kids programming, or programming for adults. Netflix has something to offer everyone. The quality of Netflix’s original productions are some of the highest out there, They’ve been recognized for Academy Awards as well as Emmy’s, and have won both. This is a testament to the commitment they’ve made to airing programming people want to watch. And their approach, releasing an entire season at once, has changed the way people watch tv. In addition to its original productions, Netflix also licenses content from international broadcasters for exclusive broadcast in the United States. What we’re going to do is share some of the best series that are currently available. Shows that you can binge on now. So take a look, and if you enjoy something from the list, let us know! Stranger Things was the sleep hit of the summer. A show that came out of nowhere, but was praised by critics and fans alike. It has been one of the streaming service’s most buzzed-about and best-reviewed original series. It is also one of the most watched. 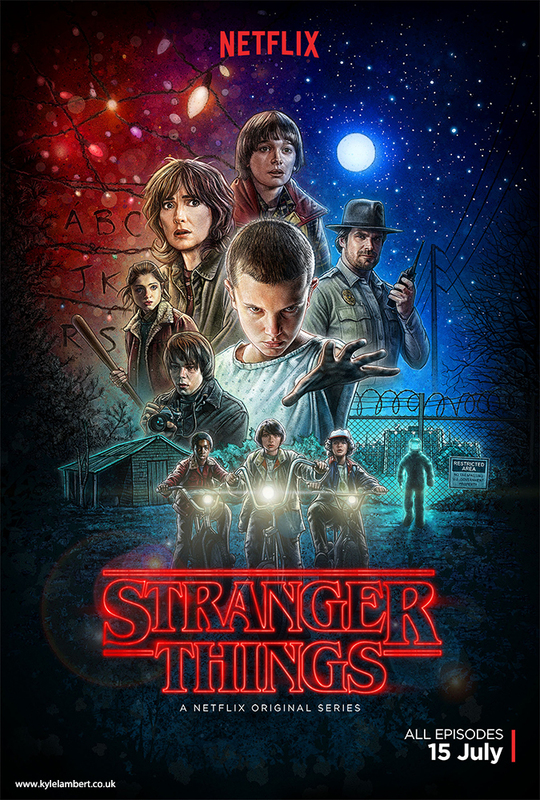 Taking place in small-town Hawkins, Indiana in 1983, Stranger Things follows the mysterious disappearance of 12-year-old Will Byers, and the appearance of a telekinetic girl who helps his friends Dustin, Mike and Lucas in their search. Will’s mother, Joyce, searches for him while Police Chief Jim Hopper launches his own investigation. As they uncover the truth, a government agency tries to cover it up, while something far darker and dangerous lurks in the shadows. If you grew up in the ’80’s or have nostalgia for the time period then this show is a must watch. It invokes the spirit of Steven Spielberg and George Lucas with the mystery of Steven King. It fully embraces the culture of the ’80’s and it has an excellent soundtrack. Classic games like Dungeons & Dragons has a heavy presence on some of the characters. Mike Wheeler, one of the titular characters, is the Dungeon Master and quickly becomes the group’s leader, it’s as if he’s mirroring the job it is to create and shape the other players’ quest. Everything works well together, from the writing to the acting. It’s an extremely fun show and ranks as one of our favorite Netflix series. 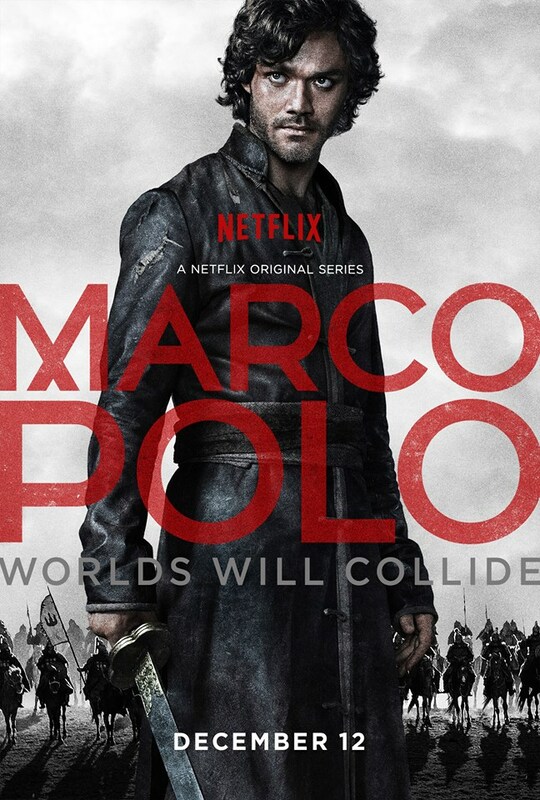 An original series from Netflix, Marco Polo tells the tale of the famed explorer in Kublai Kahn’s court. The show is an exploration of Mongolian culture with some liberties being thrown in. To be fair, it’s slow going at first, but each episode gets better and better. Season 2 is even more enjoyable. It’s interesting to note how many of the professional reviewers try comparing this to HBO’s critical darling, Game of Thrones. Never mind the fact that they are two different shows, with different topics, told in a different manner. Still, it’s come up in many reviews that have been published. And odd comparison, but one that doesn’t hold any water. Yet despite the criticism, the show has gone on to be favorably rated by the viewers, on Netflix, IMDB and even Rotten Tomato. Either the reviewers know something the general public doesn’t, or this is a classic case of people not caring what the reviews say. Marco Polo, is a beautifully shot and lavishly produced feast for the eyes. The reported $9 million an episode can be seen in all its glory, from the lavish costumes to the grandiose sets. No expense was spared, and it was put to good use. The world of Marco Polo comes alive with mystery, and intrigue. Even though you know the titular character can’t die, you still find yourself wondering how he will get out of his latest mess. Ignore the pundits who continuously try to compare this show to Game of Thrones, and enjoy it for what it is. Netflix has not officially picked up the series for a third season, but there is a lot of talk that it will happen. 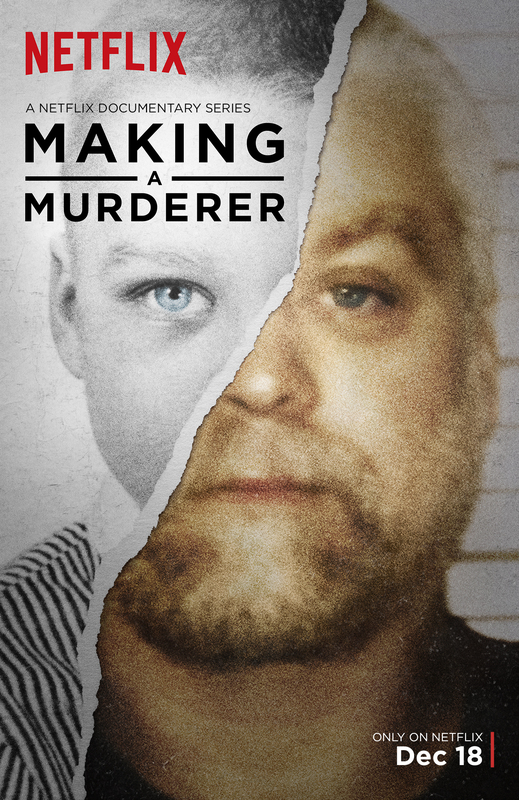 An original documentary series from Netflix, Making a Murderer explores the story of Steven Avery, a man from Manitowoc County, Wisconsin, who served 18 years in prison for the wrongful conviction of sexual assault and attempted murder of Penny Beerntsen. DNA evidence cleared him and he was fully exonerated in 2003. As a result he filed a suit against the county on this case. In 2005, Avery was arrested on suspicion of the murder of Teresa Halbach, a local photographer. In 2007 he was convicted and sentenced to life in prison. The series also covers the arrest, prosecution, and conviction of Avery’s nephew, Brendan Dassey, who was also charged in the murder, largely based on his confession under interrogation. The series was filmed over the course of ten years, with the filmmakers moving back and forth from New York City to Wisconsin during filming. It explores issues and procedures in the Manitowoc County Sheriff’s Department that led to Avery’s original conviction, and suggests that the department had a conflict of interest in investigating Halbach’s murder. The series depicts Dassey’s trial, along with subsequent accusations of coercion and attorney ineptitude. Peaky Blinders is a British historical crime drama television series starring Cillian Murphy as a gangster operating in Birmingham, England, during the aftermath of World War I. Some people have called it England’s version of Boardwalk Empire. Originally airing in England on the BBC, Netflix has obtained exclusive rights in the US. All 3 seasons are available to watch instantly. 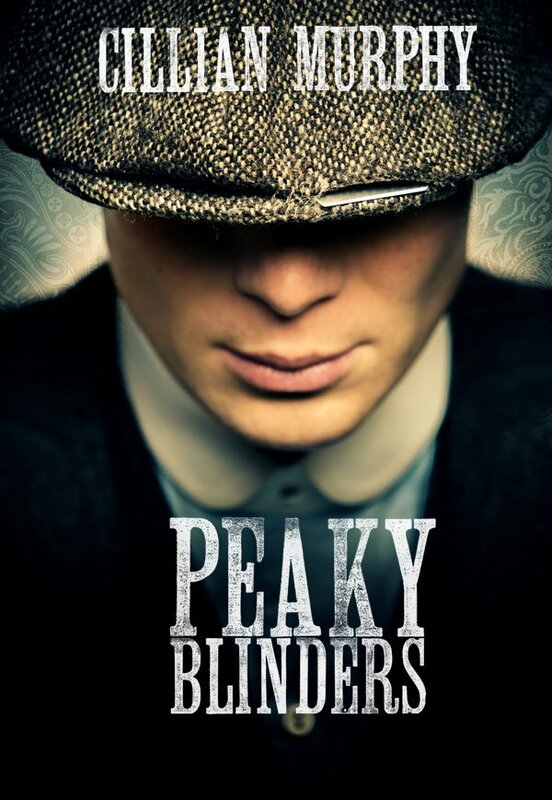 The story focuses on the historic Peaky Blinders gang and their ambitious and highly dangerous boss Tommy Shelby (played by Cillian Murphy). The gang comes to the attention of Chief Inspector Chester Campbell (played by Sam Neill), a detective in the Royal Irish Constabulary sent over from Belfast, where he was sent to clean up the city of the IRA, gangs, and common criminals. He was charged by Winston Churchill with suppressing fomenting disorder and uprising in Birmingham and recovering a stolen cache of arms meant to be shipped to Libya. Marvel’s Daredevil was the first series in Netflix and Marvel Studio’s joint venture. The series is based on the Marvel Comics character of the same name. Set in the Marvel Cinematic Universe (MCU), it shares continuity with the films of the franchise. 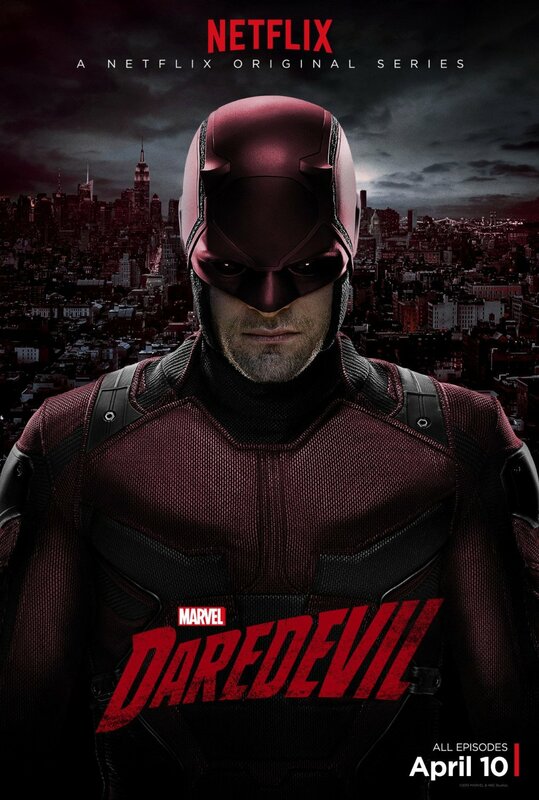 Charlie Cox stars as Matt Murdock / Daredevil, a blind lawyer-by-day who fights crime at night. Blind from a chemical spill as a young boy, Matt Murdock gained heightened senses and developed them into a style that would lead him to take up the Daredevil mantle. A lawyer-by-day, Murdock use his heightened senses to fight crime at night on the streets of New York City’s Hell’s Kitchen neighborhood as Daredevil. The first season has Daredevil uncovering a conspiracy of the criminal underworld being lead by Wilson Fisk. In the second season, Murdock continues to balance life as a lawyer and Daredevil, while crossing paths with Frank Castle’s Punisher, a vigilante with far deadlier methods as well as the return of his old girlfriend, Elektra Natchios. If you’re a fan of super-hero shows then this is a must watch, it’s one of the best produced super-hero shows, with excellent writing and acting. Daredevil has been renewed for a third season and he will also appear in the upcoming Netflix series, Marvel’s The Defenders in 2017. The Punisher proved to be such a popular series that Netflix and Marvel announced a Punisher series that will air on the streaming service. Voltron: Legendary Defender is an animated reboot of both the Beast King GoLion anime series and the Voltron franchise. 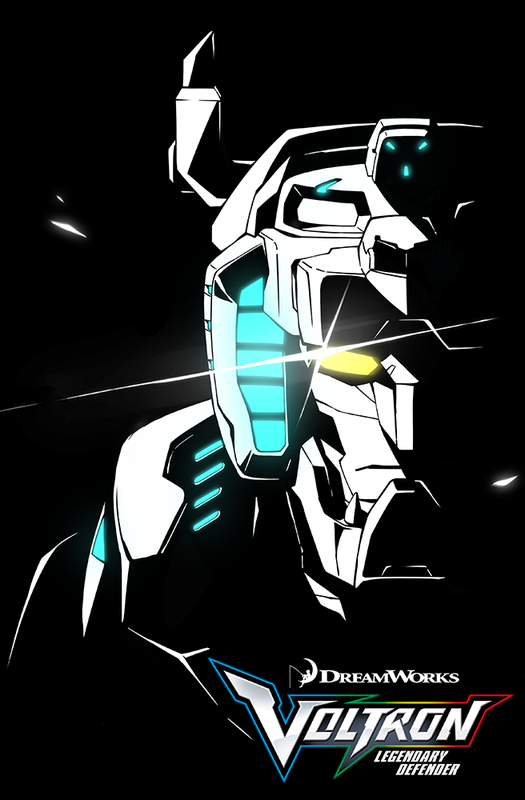 If you watched any of the three Voltron series that aired in the U.S. in the 1980’s then you have to watch this show. It captures the essence of the original series perfectly and even manages to make Voltron look even better than the original. The story centers on five Earth teenagers, Keith, Lance, Hunk, Pidge and Shiro, who are thrown into the middle of an intergalactic battle and become the last line of defense for planet Arus and other planets against an evil alien force led by King Zarkon. It’s the same basic premise as the original series, but this time around the main characters have more of a backstory. The animation is a blend of traditional hand drawn with cgi and it works extremely well. The series also works well for adults looking to relive their youth, and maybe introduce them to the next generation of fans. A second season will premiere on Netflix in late 2016. 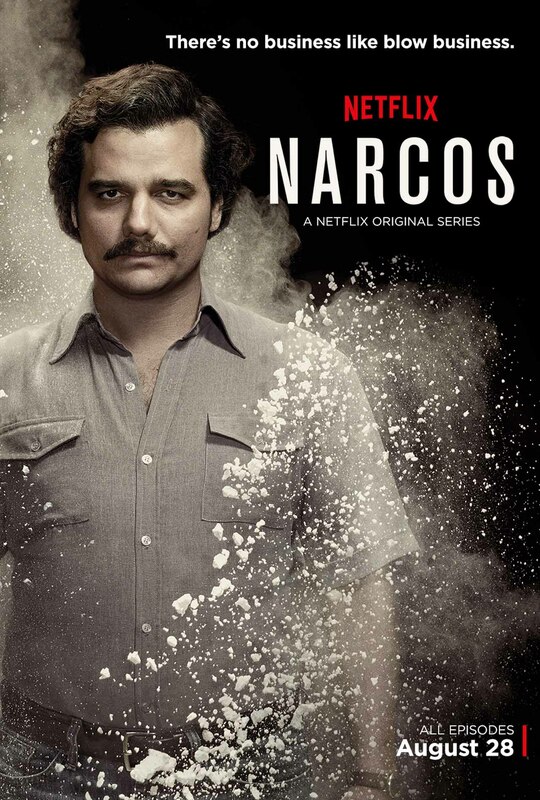 Narcos is an American crime series that is set and filmed in Colombia, season 1 tells the story of notorious drug kingpin Pablo Escobar, who became a billionaire through the production and distribution of cocaine, while also focusing on Escobar’s interactions with drug lords, DEA agents, and various opposition entities. The second season airs one week from today, on September 2nd. The first season of Narcos chronicles the life of Pablo Escobar from the late 1970s, when he first began manufacturing cocaine, to July 1992, when he escaped La Catedral prison. The show chronicles the main events that happened in Colombia during this period and Escobar’s relationship to them. It is told through the perspective of Steve Murphy, an American DEA agent working in Colombia. While it may be an American show, Narcos takes the unique approach in having all Colombian characters speak in their native Spanish with English subtitles. You can go half an episode with no English being spoken. This in no way detracts from the show, it just gives it a more authentic feel. Narcos was one of the rare Netflix series that we literally binged, getting through the entire season in a few days. From the writing, to the locations and the acting, everything was absolutely top notch. We loved it, and you will too. 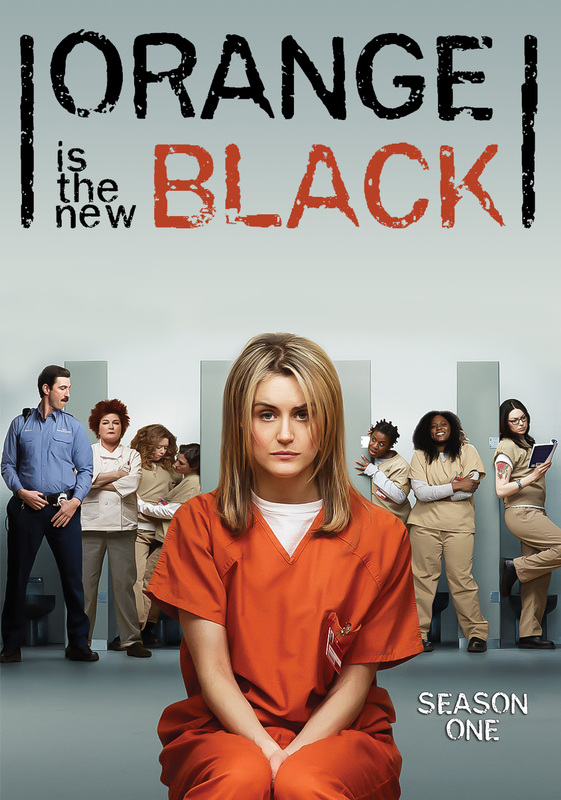 In case you’ve been living under a rock the past few years, Netflix’s biggest hit to date is Orange is the New Black. Sure, House of Cards may be the critical darling, but Orange is the New Black, OITNB, is what most people are talking about. So why did it make this list? Well that’s because more people need to watch this. Having already aired 4 seasons on Netflix, with a fifth due in 2017. OITNB is a comedy-drama series created by Jenji Kohan, based on Piper Kerman’s memoir, Orange Is the New Black: My Year in a Women’s Prison, about her experiences in prison.The series revolves around Piper Chapman (played by Taylor Schilling), a bisexual woman living in New York City who is sentenced to 15 months in a women’s federal prison, for transporting a suitcase full of drug money to her former girlfriend Alex Vause (That 70’s Show’s Laura Prepon) who is an international drug smuggler/mule. The offense occurred ten years prior to the start of the series, and in that time Piper had moved on to a quiet, law-abiding life among New York’s upper middle class. In prison, Piper is reunited with Alex, and they re-examine their relationship and deal with their fellow prisoners. Now we’ll admit this might seem like a strange show for us to watch, but we were immediately hooked. The stories that takes place within the prison is the most engaging of the show. Seeing the different women, and the reasons for their incarceration, give a new perspective to life. The show is extremely well written, blending comedy into serious issues. It’s also extremely well acted. This is one of Netflix’s best original series. 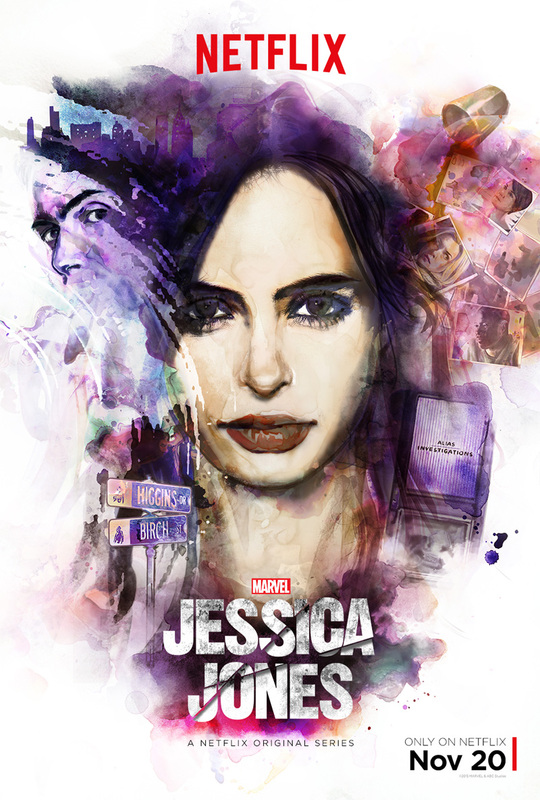 The second series to come from the Marvel/Netflix partnership, Marvel’s Jessica Jones is based on the Marvel Comics character of the same name. Like Marvel’s Daredevil, it is set in the Marvel Cinematic Universe (MCU), sharing continuity with the films of the franchise, she will also appear in the forthcoming Marvel’s The Defenders series. The show features Krysten Ritter in the titular role of Jessica Jones, a former superhero who opens her own detective agency. The Marvel shows on Netflix explore a lot of dark topics, but Marvel’s Jessica Jones is probably the darkest of all that have aired so far. The struggles Jones deals with on a daily basis illustrate how difficult life can be for victims of abuse. The villain Killgrave, played by David Tennant, uses his powers to influence Jones and those around her. While we may not have found it to be as finely written as Marvel’s Daredevil, it’s still a good show, Jones is written as a strong woman who’s not afraid to take crap from anyone. In fact she’s more than happy to be dishing it out. We’re also introduced to Luke Cage, who goes on to air in his own series on Netflix next month. The show has garnered a lot of praise from critics and fans alike, so they can’t all be wrong. Marvel’s Jessica Jones has already been renewed for a second season. Perhaps one of the most well known of the Netflix Original Series, House of Cards is the show that put Netflix on the map for original programming. A critical darling and a hit with the fans. House of Cards is an American political drama adapted from the BBC’s mini-series of the same name and is based on the novel by Michael Dobbs. Set in present-day Washington, D.C., House of Cards is the story of Frank Underwood, a Democrat from South Carolina’s 5th congressional district and House Majority Whip who, after being passed over for appointment as Secretary of State, initiates an elaborate plan to get himself into a position of greater power. He’s aided by his wife, Claire Underwood in nearly all of his plots as they deal with themes of pragmatism, manipulation, and power. They will destroy who ever they have to to get what they want. 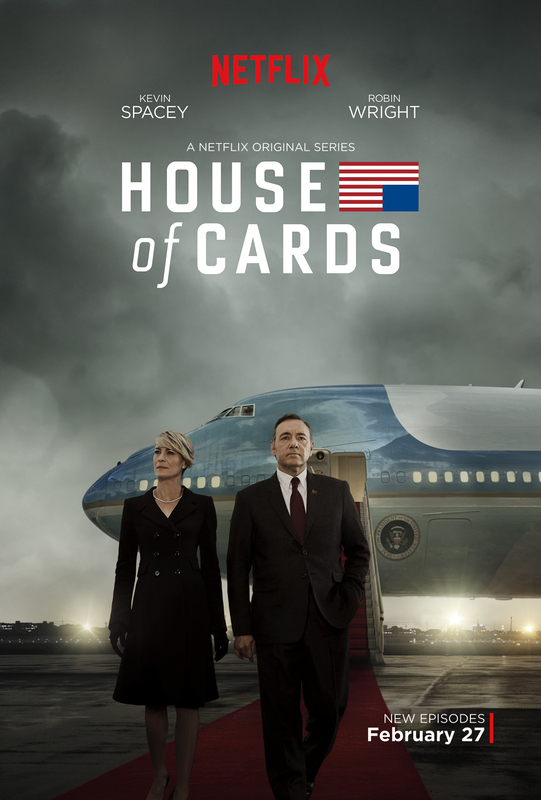 House of Cards propelled Netflix original programming into popularity, it’s received 33 Primetime Emmy Award nominations, earned eight Golden Globe Award nominations and more. It’s the first Netflix show we binged, and we’re sure you will too! There’s a special place in my heart for Baz Luhrmann’s Netflix Original series “The Get Down.” Part of it is a love of Hip-Hop music, part of it is the nostalgic trip it takes me on to my own hometown of Bronx, New York and a time almost forgotten. And I wouldn’t be completely out of place saying part of it is the Kung-fu style philosophy that is brought to the whole thing. 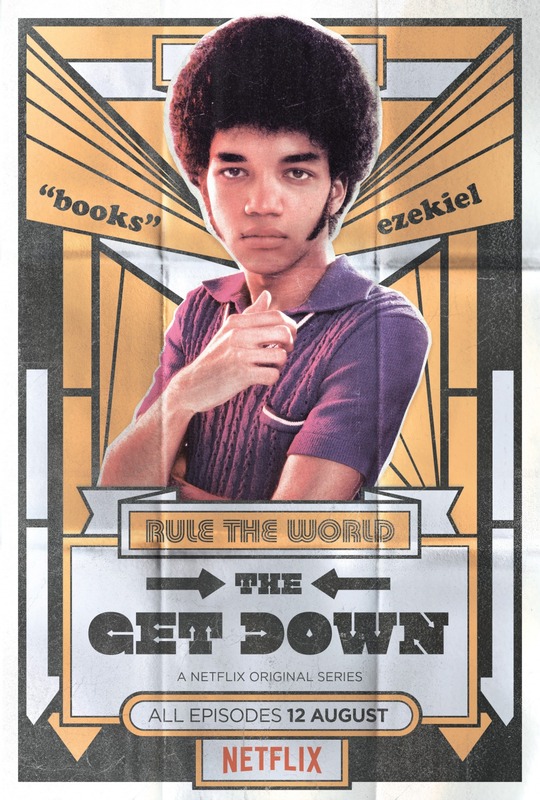 “The Get Down” is a musical drama, set in the late 70’s as Disco was at its height, but Hip-Hop was being born. Created by Luhrmann and Stephen Adly Guirgis, the show takes a look at life in the Bronx as the city was at its financial lowest and the music and culture that grew out of it, and though I was born afterwards, much of the changes were still going on as I grew up. Produced by Nassir “Nas” Jones who himself does a voiceover for the main protagonist in his later years as a framing for each episode, “The Get Down” takes you back to when Afros were still big, Grafitti was on every train, and if you could dance, you were the man. Using stock footage from the time period mixed with modern filming in the right neighborhoods, the story is obviously a dramatization but it’s framed by real life events and people or in some cases inspired by them. Real life rap legend Grandmaster Flash not only helped to educate cast and crew about Hip-Hop accuracy, and history along with Kurtis Blow and Nas, but he is also a character in the show. But the show is about much more than Hip-Hop and Disco, boasting a talented young cast, and fun, if sometimes cheesy writing. There are times it feels like a Blaxploitation film (in a good way), and then some good music will come in and you can’t help but grin as you continue to watch the story unfold. If you have an appreciation of music culture at all or are just a fan of Luhrmann’s films like “Romeo+Juliet,” “Moulin Rouge,” or “The Great Gatsby,” give “The Get Down” a try, you won’t be sorry.